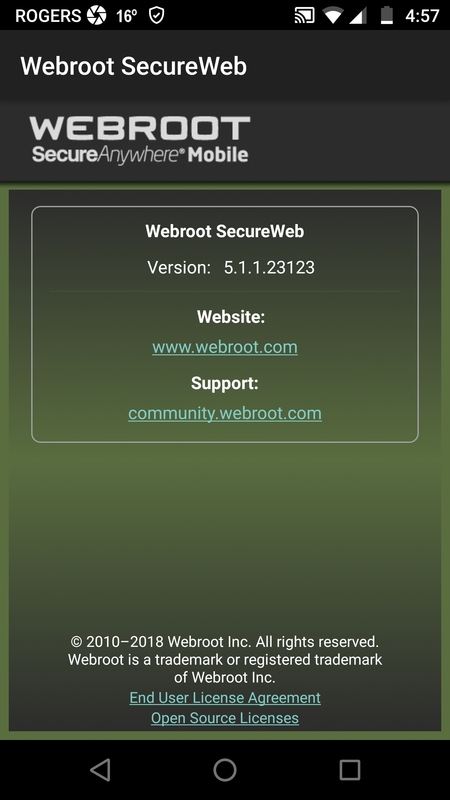 Is anyone having issues with the SecureWeb Browser on your Android? I cannot get into settings when tapping in the 3 dots in right hand corner. Edited: I'm finding the User Guide for SecureWeb is not very helpful. IMO. @Ssherjj try rebooting the phone and try again! I rebooted my device and now I see faint settings..they are dark and hard to see but I've got the settings now. My brightness is up all the way too. I guess you could barely see the menu in my last post. I uninstalled the mobile app months ago, when the permissions changed. Sorry I can't help, Sherry. Uninstall and re-install unfortunately. Its pretty quick. I did that already hours ago and it still gives me that same screen when trying to open the menu/settings. I will test on some phones and let you know what I find out. It's still not working and I have a Samsung Galaxy Note 8. I'll have to dig around some and see if its something to do with my phone. Tested on Samsung Note 9-8.1.0 and Samsung note 5-7.0.0 and both are working I can back as far Note 2 but will have to try that later. Which OS version are you on so I can try it on that version? Oh. Just read the Note 8. But still need to know OS version. I will try it on a note 8 just need a little bit. Yes I guess I'll have to do that and Submit a Support Ticket because SecureWeb still has bugs! I just posted the same thing before I saw your post. I thought I was going to lose it. However, I solved my own problem which seems to be yours. You can't just quick tap it. Put your finger on it and hold it for just a quick second then everything shows up clearly. 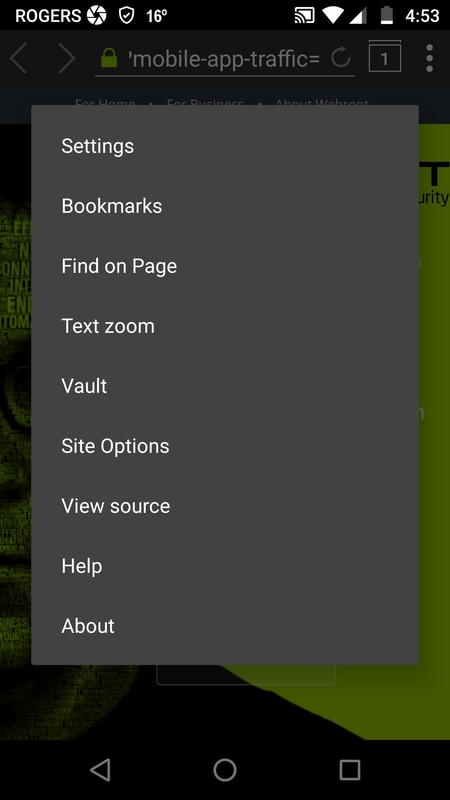 There is a update to the SecureWeb Browser at Google Play Store. And a nicer setup. Thank you @TripleHelix for letting me know there was an update! Finally Daniel! I am so excited now that I'm out of the dark with that Menu!